My dog Avalon had his rear left leg partially amputated. He does great, which is awesome, but he occasionally scrapes up his stump when he runs around, especially in winter. I have been experimenting with making covers to protect it, but so far haven’t been able to make anything that stays on for more than 5 minutes. As auhs, my question is if anyone has any suggestions, be it existing products or even just sewing patterns that others have used. 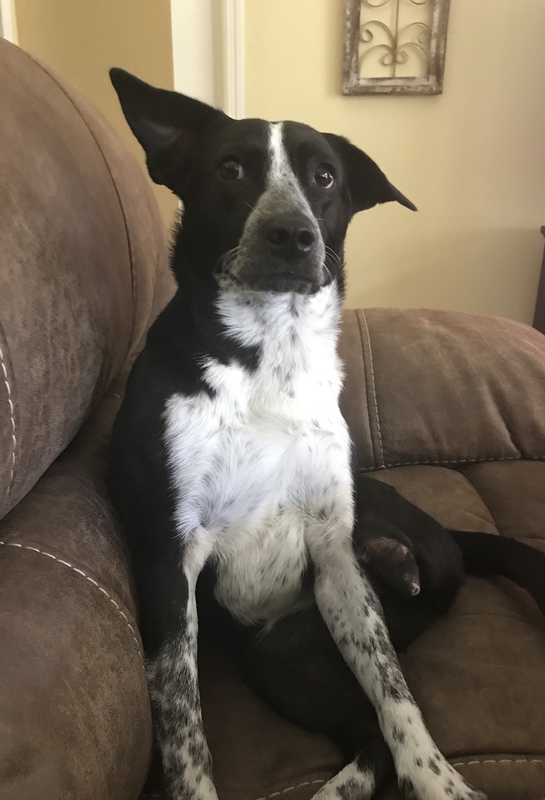 He’s young and loves to run, so I really want to help him do it without injury, even if they are only minor scrapes. Hi Ashley, you ask a great question. How much of a stump does Avalon have left? Can you share a photo? Here are instructions for adding images to the Forums. Unfortunately this is a tough problem to solve and I am unaware of anyone who has. How much exercise does he get when he runs around? How long and how far are his runs? Are they off leash? The key might be curtailing his activity so that he doesn’t go wild enough to do damage. I know that’s hard, but as a young dog you will do him a huge favor by protecting his joints when he gets old. Perhaps doing short bursts of activity on a 20-foot training lead is the answer, as well as keeping his mind busy with lots of interactive brain games. That is how we would exercise Wyatt Ray in his younger days. He developed a callous on his stump over time because he banged it around in a similar way. Sorry, was having some issues. 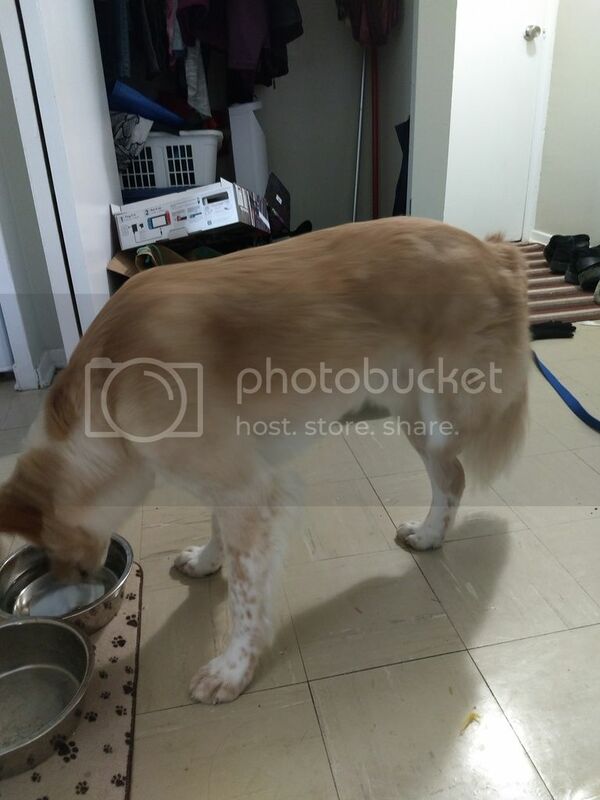 I hope that picture is clear enough, as you can see he is missing approximately half of his back left leg. And to answer your questions, during the week he just gets regular on leash walks. It is on the weekend when I have more time that we go to the off leash dog park so he can actually stretch out and run more. When we go (at most once Saturday, once Sunday) we are there for about an hour. He’s got such pretty fur! Thanks for sharing the photos. So is there bone all the way up to the end of the stump? If so, that may be contributing to the problem. Check out our blog post about Partial Versus Full Limb Amputations. Many people whose dog had a partial amputation have experienced the same issues, but sometimes much worse (as in the bone pokes through eventually from the area getting so beat up…ugh!). Regarding the dog park trips…as much fun as they are for you and him, the problem with dogs who become “weekend warriors” is that the impact of those sudden bursts of activity take a great toll on the body (even for four-legged dogs and people too!). Rehab therapists have told us that it’s far better to give your Tripawd consistent, equal amounts of activity throughout the week, rather than let the dog go wild on the weekend when you have more time to play. Many injuries happen this way, the body just isn’t conditioned enough to handle the sudden impact of hard play just once or twice a week). My guess is that if you 1) beef up his core strengthening activities throughout the week, and 2) shorten those trips to the dog park by at least half the amount of time you’re there, you’ll find that he isn’t beating up the area nearly as much. 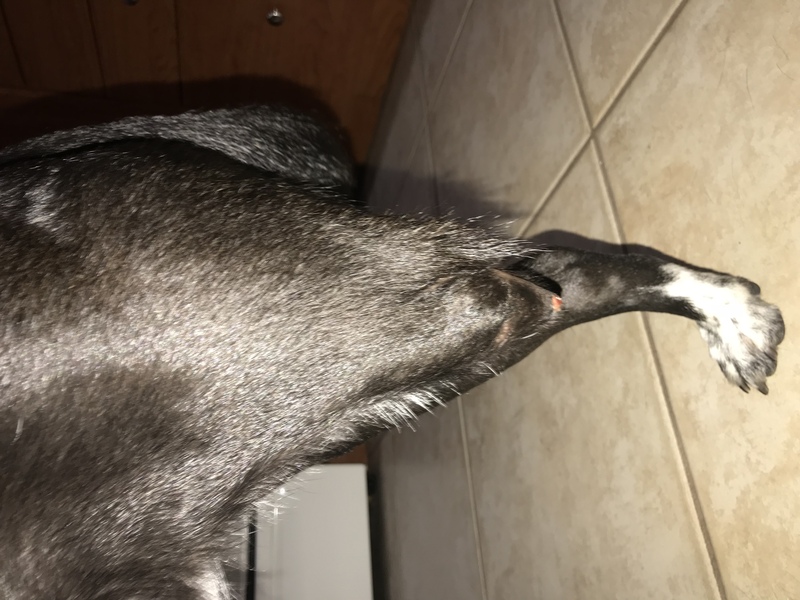 My dog has the same type of amputation and the same problem of scraping her little nub. She’s got about an inch nub past her knee joint and it is bone all the way to the end. Hair doesn’t grow on it so she scraps it a lot. I haven’t found any products out there that would work. I was thinking that maybe a sock and vet wrap would work? Or instead of vet wrap I found some wrap on amazon that has a bitter taste so dogs don’t chew it. Ellie and her little bare nub. Hello and welcome Ellie and pack, your future posts will not have to wait for approval. I’m sorry Ellie is having trouble with her leg- why the amputation? Why was the amp done that way? I’ve had two rear amp pups. TriPug Maggie lost her left rear leg to mast cell cancer. She had a what is called a mid-femoral amp although only a small piece of the femur was left and it was wrapped in muscle. My Elly, a small Pug mix, was hit by a car at 7 months old and lost her right rear leg, the entire femur was removed. Consider starting another thread in Share Your Story to introduce Ellie and tell us your story so far. Oh yes please do start a new topic in “hopping around” OK? We want to follow along with your girl’s journey. I saw you were in the Tripawds chat room last night, sorry I missed you. Meanwhile you may want to check out this blog post about partial versus full amputation surgeries. This may be a case where an amputation correction surgery would do a lot to boost her quality of life and keep the scrapes and wound issues from happening. I would definitely consult with an orthopedic surgeon. See you in another topic! I’ll definitely start a thread for her story. The short version is that I don’t know why her leg was amputated this way. She is a rescue, I adopted about 6 months ago. She’s only about a 1 1/2 years old. Cause she’s so young it probably wasn’t a health related amputation like a bone disease and such. Our best guess is that it was trauma, an emergency amputation. Jane, let me know if I can put you in contact with the gal I know who made several coverings for her dog. 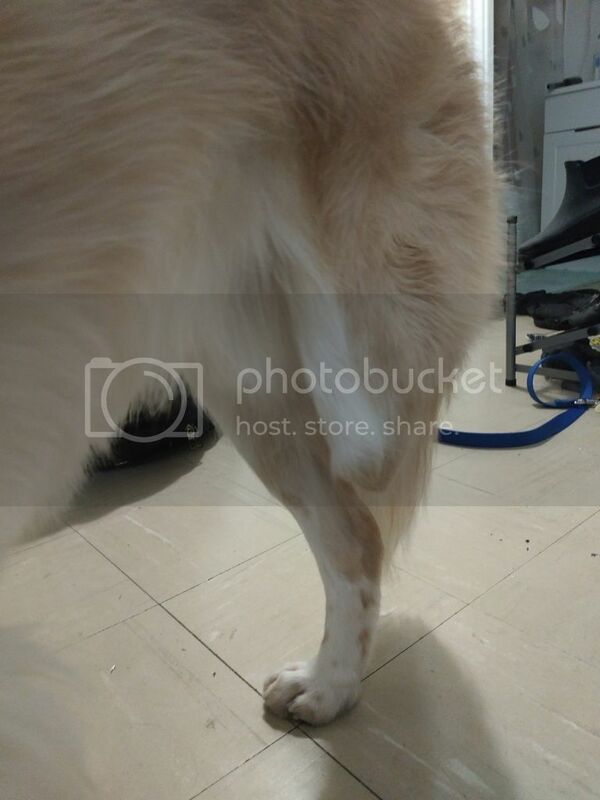 Add Reply: Cover to protect site of a partial leg amputation?